This new trailer for Enter the Spider-Verse is way more than I could have expected. I hoped to that we’d get some clues to piece together what this film is really about. What we received here is a virtual treasure trove of revelations and tidbits. The first big reveal given to us was with the an older Peter Parker who’s seemingly out of his element will star along side Miles Morales. This won’t be a big surprise for those of us who follow along with the comics and are familiar with the the Brian Michael Bendis and Sarah Pichelli story ‘Spider-Men’. That story with a Peter Parker who finds himself stranded in an alternate reality in which Miles is native. The second big reveal is the appearance of Gwen Stacy a.k.a. SPIDER-GWEN! Spider-Gwen is a fairly recent creation within the Spider-Man mythos so this one actually caught me off guard. I can’t help but wonder what other characters from within the Spider-Man landscape will make it in this movie! I can only keep my fingers crossed and hope for Spider-Pig. 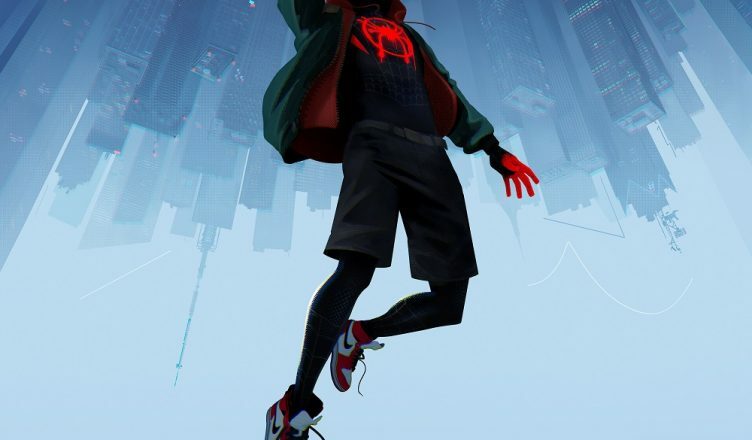 I’ll likely make a video explaining my best theory on the plot of Enter the Spider-Verse over on our YouTube channel but I won’t spoil it for anyone here. Michael Myers is back!! New Halloween trailer is out!